‘Bun and cup of tea’ Budget increase delayed ’til March. 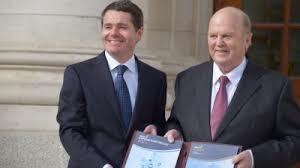 The Fine Gael/Fianna Fail Partnership has welcomed the Budget. Of course, they would. They cobbled it between them, and have now set about selling the lamentable benefits of such as the ‘fiver’ for pensioners while they themselves are about to pocket pay increases worth upwards of €5,000 – nearly €100 per week. They’re even claiming the miserable price of a cup of tea and bun increase in the pension is placing so much pressure on the State’s finances, the payment has to be delayed until March. We’re looking at press statements where TDs are actually trying to sing the praises of what isn’t even there. The people are still facing the prospect Fine Gael and Fianna Fail will try to bully in water charges again; they were initially pushed by Fianna Fail in its agreement with the Troika. Fianna Fail was also the government that hammered rural dwellers with water charges for years after the rates had been abolished for householders in cities and towns. They also went out of their way to slap charges for metering on rural water users. The Budget has avoided even the remotest possibility of any relief from the universally hated Local Property Tax. This is the tax Fianna Fail worked out with the Troika and Fine Gael slapped on the home of every Family in the country; whether they had the income to pay for it or not. Not only that, but so determined to maintain it are they, both Fine Gael and Fianna Fail at county council level in Sligo have refused to allow the rate, now amongst the highest in the country, to be reduced in any way over the years since the measure was first rolled out. 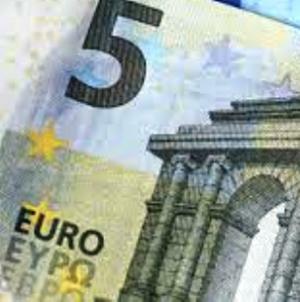 And, now, the people are supposed to greet the 2017 Budget with acclaim – the property tax alone in most cases costs more than the five euro pension increase. And charges for just about everything else from electricity supplies to the use of a car are already through the roof – and rising. There is the usual old gob shitery about how well the Fine Gael/Fianna Fail Partnership has looked after the farming sector. 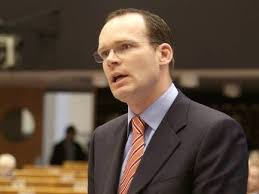 Former Minister for Agriculture Simon Coveney, TD. This is the industry – or the dairying part of it – about which just over a year ago, Simon Coveney called in farm leaders for a dairy-filled breakfast (Cashel Blue Cheese, Tipperary Emmental alongside Glenilen yogurts and Cooleeney Camembert filled-quiche) in the Department of Agriculture to hear him bang on about bloom and boom up ahead, and reportedly state how Teagasc estimated 15,000 new jobs could be created for the rural economy in the space of the following five years. Remember it, and, then, within months, the crash? Agriculture across virtually its every activity is in chaos. So bad is it, the leader of one prominent farm body had gone on record to urge farmers not to avail of loans for stock expansion. Incomes have slumped to a frightening degree and would be the worse for many smaller farm families but for the Farm Assist social welfare payments they’re being given to enable them to survive. The Budget has offered a few benefits, however, as far as the rural economy is concerned, they are little more useful than the propaganda with which TDs of the Fine Gael/Fianna Fail Partnership are pumping out the information. Across almost every front in the North West, there is evidence of economic decay. The region’s strongest ‘industry’ is migration of its young people who are leaving in droves because, for them, the place rings of hopelessness. And, as if they aren’t being punished enough, the Fine Gael/Fianna Fail Partnership has taken to humiliating them with a derisory few euro Budget increase on what is an already nearly impossible to survive on allowance. This, too, is at the same time that the region’s four TDs are being awarded increases of just shy of €100 per week each atop of their close to existing €90,000 annual basic salary. The Taoiseach, Enda Kenny presumably also speaking for the Fianna Fail Taoiseach or Leader Michael Martin has said the Budget is based on ‘prudent management.’ However, let’s not forget that this ‘prudent’ budget follows the most astonishing action ever taken by political parties; the decision to refuse to take the €19 billion in back taxes and penalties adjudged by the EU to be owed to the State by the Apple global corporation. How can there be other than bloody tight-arsed budgets when this kind of thing is being resorted to?